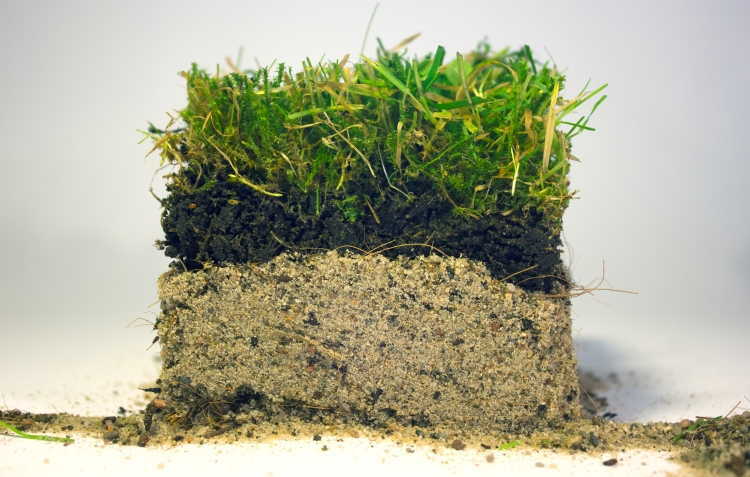 Flexsoil is the ultimate turf layer for all sports applications - the World's first 100% all natural and biodegradable hybrid offers higher force absorption, durability and 9 times higher elasticity - making it ideal for a range of sports pitches. Check out just some of the benefits of using neogem's premium-quality Flex Soil in your sports turf applications. To find out more we recommend giving our specialists a call or fill in a quote form and we will contact you to discuss your requirements. Flex soil offers an additional 20% higher force absorption compared to standard - a durable, strong turf for any application. Flex soil is totally biodegradeable and environmentally friendly due to it being naturally sourced. The higher shearforce makes Flex soil a far more durable turf layer. It can stand up to the rigors of everyday use. Flex soil it 100% natural and organic - making it sustainable and easy to replace if necessary. 9 times higher elasticity - means it bends easier & makes it harder to break. Ideal for even the most demanding pitch. Cost effective, durable sports turf that will deliver excellence every time. The hydrophilic structure allows for improved transport of water inside the system - accelerating grass root growth. Find out more about the applications of Flex Soil and how it can be tailored to your particular projects. The rigors of a Rugby game can really take it's wear on the turf so the durable, flexible nature of Flex Soil makes it an ideal application for a sports pitch. When played on regularly football turf suffers from wear-and-tear. Durable Flex Soil can significantly improve the long-term performance of your pitch. Due to the nature of the game cricket requires neat yet durable turf - Flex Soil is an ideal solution for a tough, perfectly neat, low maintenance cricket ground. Tennis courts that require a grass surface will benefit from using Flex Soil due to it's high durability, low maintenance, flexibility & ease of application.